Chicken Inn coach Joel Antipas is satisfied with how new signings Clive Augusto and Brett Amidu have settled in the team. Augusto joined the Bulawayo side in the pre-season from Ngezi Platinum Stars and has since scored three goals in the opening two games of the season. His latest contribution came yesterday when the Gamecocks beat Yadah 2-0, netting the second goal on the hour, two minutes after Malvern Gaki had broken the deadlock. Amidu who also made a move ahead of the new campaign has shown great performances in the midfield which has attracted rare mentioning from the coach. 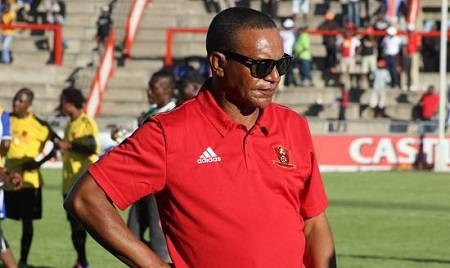 “Augusto is settling in well, he is a quality striker, he runs off the ball very well and finishes likewise and together with Amidu, they have proved to be perfect,” said Antipas after the Saturday’s game. “We were playing the same game as Yadah in the first half but come the second half, with Amidu, we managed the ball very well,” he added.